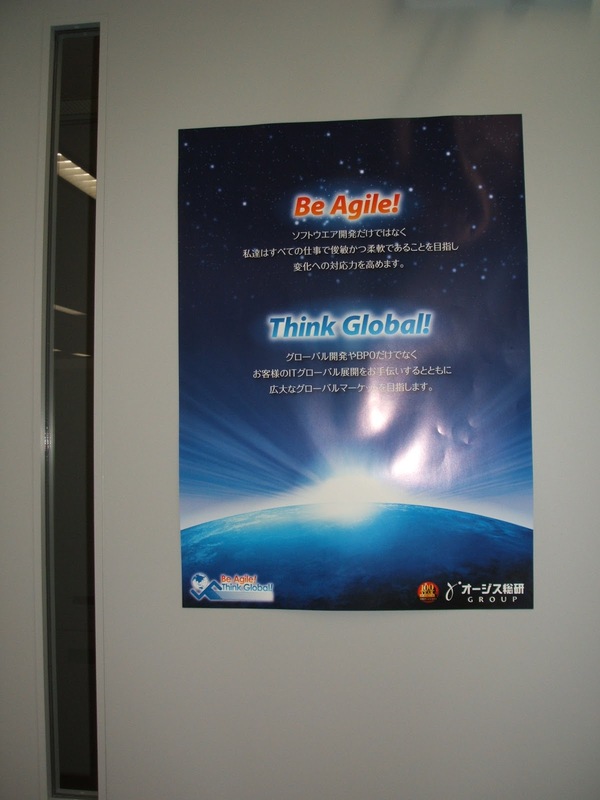 Getting to be Agile: Becoming Agile - How Agile are Japanese IT Companies? Becoming Agile - How Agile are Japanese IT Companies? How agile are Japanese companies? Some may think companies in US and Europe are way ahead of Japanese while some other may think the opposite. 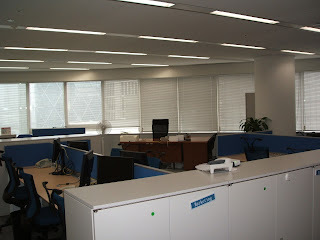 I can't speak for all the Japanese companies, but I can tell you how it is at a company where I work. When you're reading, please remember that I work for a very traditional Japanese company - our parent company is an utility company. Think of something like Chesapeake Energy. To actually be an agile organization, I think it's really necessary to have executive support as well as willingness of members involved in a project. I've seen some "hidden" agile projects but it really doesn't go on the long run because it's nothing stays "hidden" too long. You'll also meet less resistence if there's a executive support. By executive support, I'm not really talking about an executive just saying he/she supports agile in a project, but more of having an executive supporting organizational transformational to make the business to be agile. Agility is having business benefits rather than a better code in shorter period of time. Projects are just part of the business. As such, I want to talk about the company where I work before talking about agile projects. If you visit our office, the first thing you'll probably notice it the posters at the entrance and all over the room. "Be Agile! Think Global!". There's no explanation of "agile" but it makes everybody remember the words "agile" and "global". The next thing you'll probably notice is that we're all in one room. There's not president's room (the presiden't desk in the one in the back of the picture). His desk is right in there with everybody else's desk. 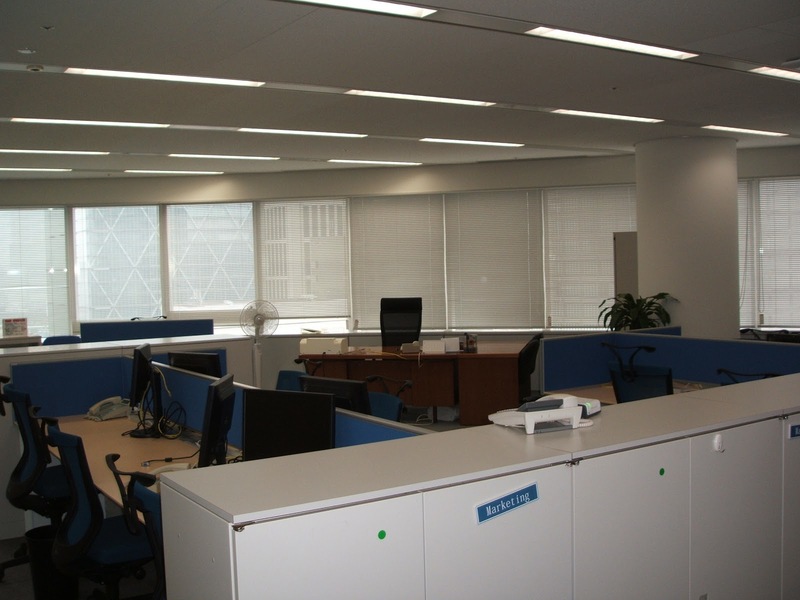 Having one large room has been traditional in Japanese work environment but most presidents prefers to have their own rooms. It seems Google's Larry Page has his own office - well not here. It's much better to have no walls between desks - no personal offices for everybody to communicate much better. I sometimes see glass walls that enables everybody to see each other, but we have NO walls. This way, not only can we see each other, we can hear our president talks and he can hear us talking too. I think this builds better trust. It also ables him to more easily walk around the office without too much attention because we're seeing him all the time - it won't be a visit or a tour out from his office. There's also other activities including wage structure, incentives to adopt agile in projects, paid CSM and CSPO educations. I'll probably be able to explain more on what we're doing and answer questions at the Agile2013 conference. In Kotter's 8 steps for leading change, we're probably step 4 "Communicating the Vision for Buy-in" because we still have the traditional workflow systems. I think step 5 "Empowering Broad-based Action" and step 6 "Generating Short-term Wins" will come together. 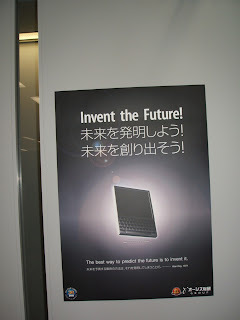 BTW, we also have another slogan - "Invent the Future!". This article makes sense,Most of the times we get to experience things that we fine in appropriate but at the end if we see there are things that help us with growing in a sensible way which works correctly, agile business solutions are the ones which have the right outcome of the things so yeah its cool enough.